The Oracle Service Bus got some nice features to monitor its endpoints, see if they are still online and you can enable these Proxy and Business Service endpoints in the Operations view of the SBConsole. 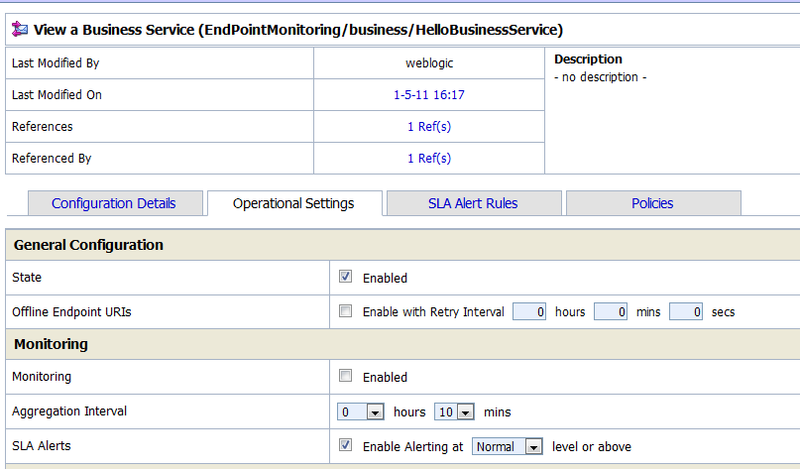 In OSB you can also make a SLA alert rule to reports these endpoint changes to the SBConsole, send a mail , SNMP trap or publish on a JMS queue. These options are not enabled by default, you need to do the steps, I describe in this blogpost.. 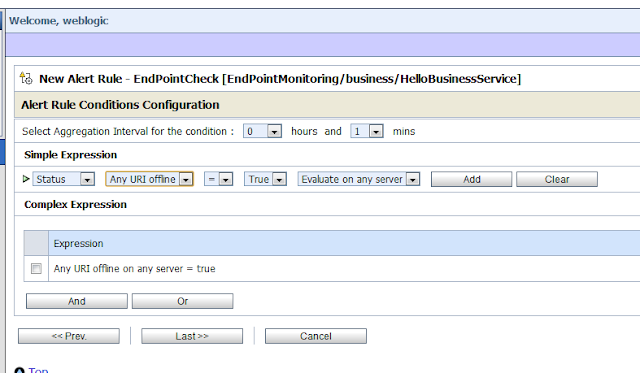 When you create or deployed some new Proxy and Business Services you won't see these endpoints in the Service Health Tab of the Operations View. 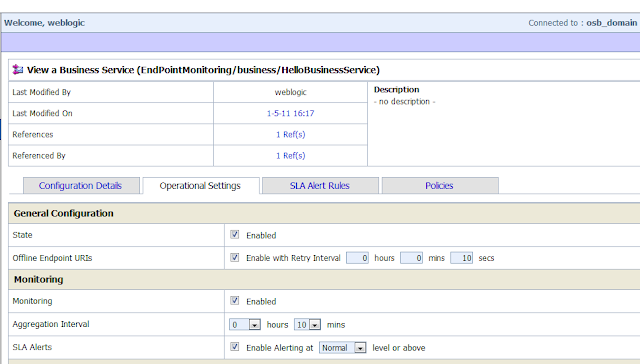 When you open the Operation Settings of the Business or Proxy Service you will see that monitoring is not activated by default. 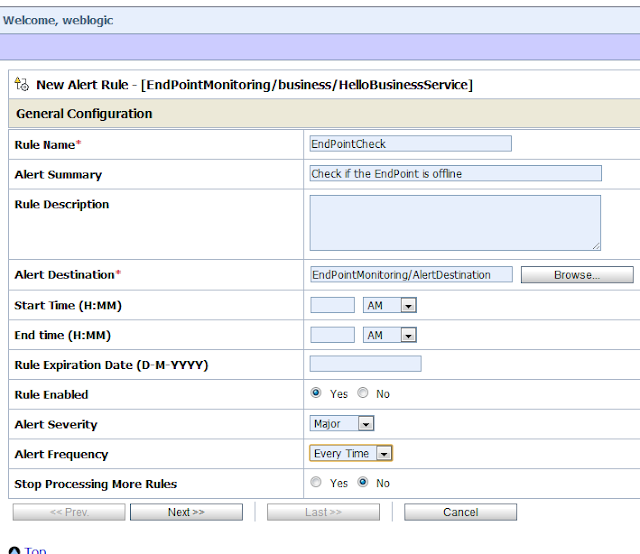 Create a new Session and change the monitoring setting. 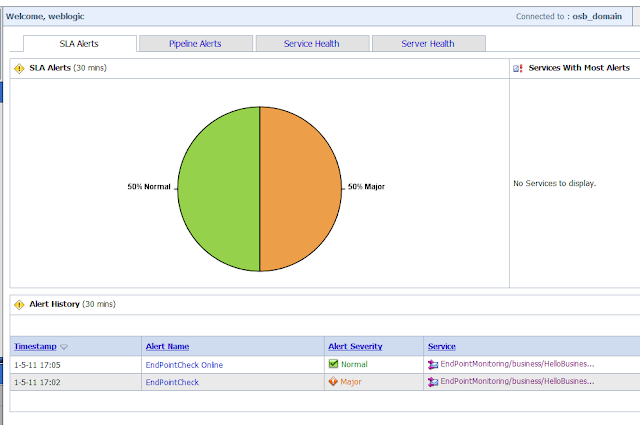 When you go back to the Service Health Tab of the Operations view you will now see that the Endpoint of this Business Service is still Online. Click on the Online link and you will see that the Action link is not enabled. If you work with the OEPE workshop you can also enable monitoring by opening the Business or Proxy Service in a text editor and change this setting manually. When you know the endpoint is active again you can press the Action link and the OSB will check it for you and enable it again. 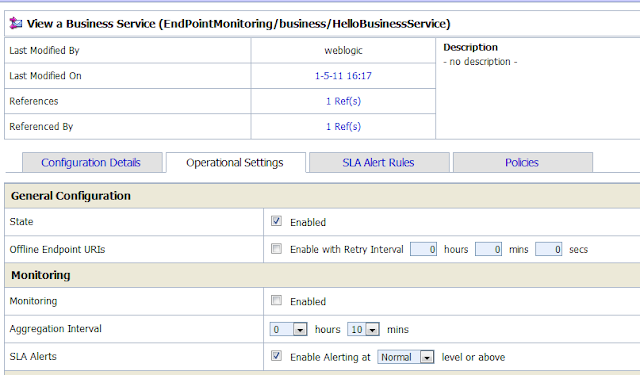 Next step is to make a SLA alert rule so can monitor and report the endpoints changes. Open the SLA Alert Rules Tab of the Proxy and Business Service. 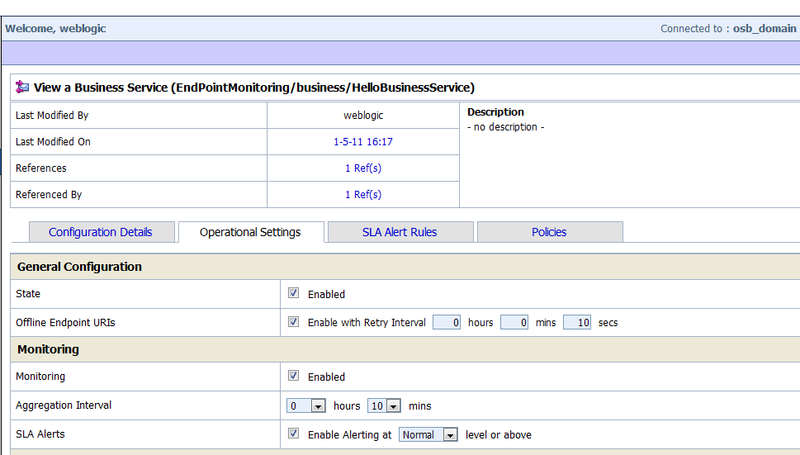 Select Status for the endpoints monitoring. 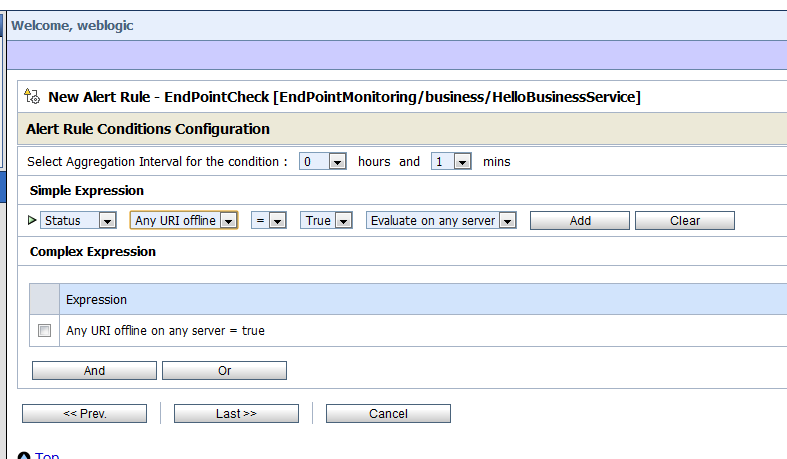 Make a rule for online and offline Endpoints. 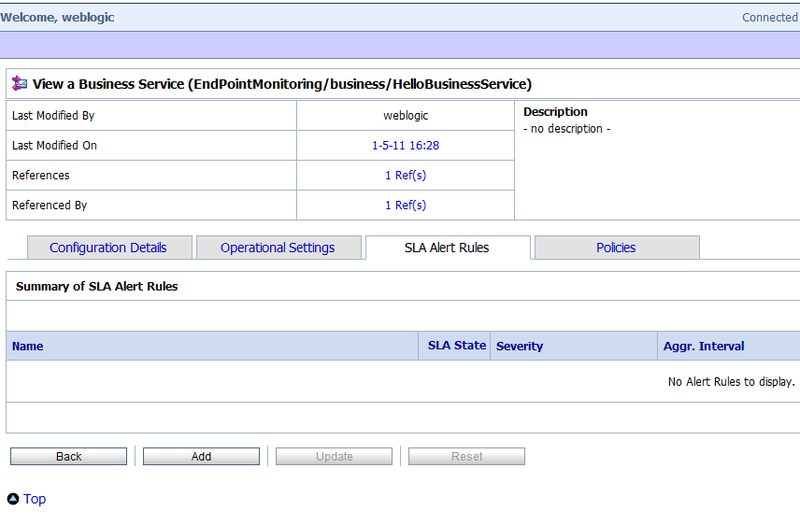 You will now see these alerts in the SLA Alerts Tab of the Operations window of the SBConsole.